The Rewards of Repetitive Cruelty: A look at Stuart Zola-Morgan, the newly appointed director of the Yerkes National Primate Research Center, and the implied public message in his appointment. A researcher was studying grasshoppers. She sat a grasshopper on the sterile white counter and said, "Jump grasshopper! Jump!" She carefully recorded the distance the insect had jumped, and pulled off one of the grasshopper's legs. Then, once again, "Jump grasshopper! Jump!" Another measurement, another recording, and another leg; "Jump grasshopper! Jump!" This went on again and again. One leg left. "Jump grasshopper! Jump!" the researcher sternly demanded. She recorded: "Grasshopper with one leg: .002cm"
Finally, the grasshopper is lying on the counter, on her back with no legs. "Jump grasshopper! Jump!" Nothing. Disappointed, this time slapping the table next to the twitching critter, the researcher screamed as loudly as she could, "Jump grasshopper! Jump!" And she records: Grasshopper with no legs: Cannot hear." The choice of Stuart Zola-Morgan to head Yerkes makes two strong interrelated statements. The first concerns the nature, quality and methodology of research that NIH finds worthy of high reward and showcasing. 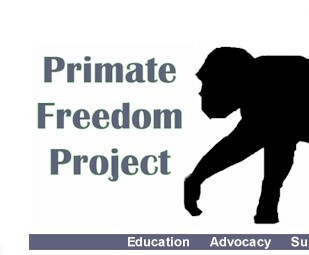 The second concerns the public face being put on the research occurring in the nations taxpayer-funded primate-based experimental programs. This second reason for choosing Zola-Morgan is directly related to the escalating battle between those suckling at the public teat who are engaged in research that is being increasingly questioned on grounds of ethics and efficacy and those calling the research into question. Zola-Morgans research will be examined first. Stuart Zola-Morgan has spent the last twenty years destroying various parts of monkeys brains and then testing them to determine whether they could still learn and whether they could remember what they had already learned. Zola-Morgans initial premise is illogical. Though damaging an area of the brain associated with memory may result in amnesia, it is illogical to assume that any amnesia arising from any brain injury is an indication that the area damaged is involved in a direct way with the phenomena of memory. Consider a much simpler system: an automobile. Someone seeking to understand how an automobile works could, following Zola-Morgans methods, destroy various components of a car, the key for instance, and make various inferences. A naïve observer might come to the conclusion that the key is a critical component. Deep and careful study of the key itself would offer little insight into the mechanics of internal combustion engines or modern transmissions. The same observer might come to the conclusion that the seatbelt interlock is important for the car to function when in actuality, the seatbelt, the key, the gear shift lever, the parking brake, and other peripheral devices are only marginally associated with the basic functions of an automobile. Most troubling is the fact that Zola-Morgan is not destroying various parts of a car; he is methodically destroying parts of living monkeys brains. To fully understand the unsettling nature of Zola-Morgans experiments, it is necessary to first understand who his victims are. Monkeys have been increasingly understood to possess complex minds and emotions. Monkeys are used in experiments specifically because they are capable of abstract thought3, display emotion4, exhibit altruism5, and maintain highly complex social relationships6. These well-known characteristics should compel a basic ethical and moral reconsideration of the experimental manipulations of these beings, but the contrary is true among the primate experimentation community. 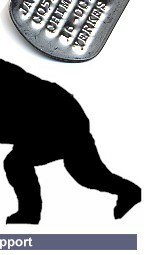 The close similarities of the most fundamental aspects of human-ness and monkey-ness  mind and emotion  have been magnets for exploitation by those without moral rudders; Zola-Morgan is an exemplar of this phenomena. So it must be assumed that Yerkes and NIH see Zola-Morgans research as fitting neatly into, perhaps exemplifying, this goal. Is Zola-Morgans research actually relevant to human health? Of course he says it is when he makes the claim: Our work is relevant to issues of how memory is organized in the brain and to issues of memory impairment associated with a wide range of human conditions, e.g., aging, Alzheimer's disease, and stroke.10 But this claim requires substantiation. Zola-Morgan has investigated the loss of tactile amnesia in monkeys whose brains he has injured. Tactile memory or amnesia refers to the recollection (or loss of ability to recollect) of the physical feel of an object. In other words, when you feel a coin in your pocket do you remember that it is a coin? Is this question relevant to human health? This database is used by researchers as they seek to ascertain whether their work is redundant and as a source for scientific information. A search for cancer results in a list of 1,355,509 citations. This is unsurprising due to the prevalence of the malady and the research effort associated with it. Likewise, arteriosclerosis results in over 56,000 citations and stroke over 65,000 citations. On the other hand, amnesia results in 6,999 (as of July 30, 2001) and tactile AND amnesia results in 17 citations. Of these seventeen citations, seven refer to the temporary and often desirable amnesia associated with anesthesia and sedatives. Of the remaining ten, one is a paper published in 1970, and six others published in the years 1979, 1980, 1982, 1983, 1984, and 1990. A study of rats with experimental brain damage induced tactile amnesia was published in 1991, and single papers in 1993 and 2000. It must be inferred that the study of tactile amnesia is of little interest in the medical community, not perhaps out of a lack of compassion, but more likely due to the rarity of the condition. Undoubtedly, there must be a few doctors and researchers with an interest in the topic, but its relevance as compared with the major human ailments must be considered to be very low. Twenty-eight male cynomolgus monkeys (Macaca fascicularis) were tested, all weighing between 3.1 kg and 5.2 kg at the start of the experiment. 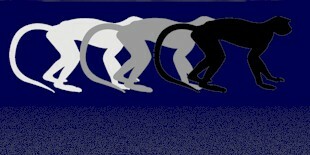 Five monkeys received bilateral lesions of the perirhinal cortex (PR group). Five monkeys received bilateral lesions of inferotemporal cortical area TE (TE group). The remaining eighteen monkeys comprised unoperated control groups used in the individual experiments. Monkeys were anesthetized using Isofluorane gas and placed in a stereotaxic headholder that allowed unobstructed access to the temporal portion of the skull. The temporal muscles were exposed and fully retracted, and the zygomatic arches were removed. Bilateral openings were made in the skull to expose the anterior and ventrolateral portions of the temporal lobe, and the dura was opened. The pial surface over the intended lesions was first cauterized, and the cauterized tissue together with the underlying cortical tissue was then removed by suction using a glass pipette with an angled tip. Cortical tissue was removed slowly until the white matter was visualized. The dura was then sewn, and the wound was closed in anatomical layers. 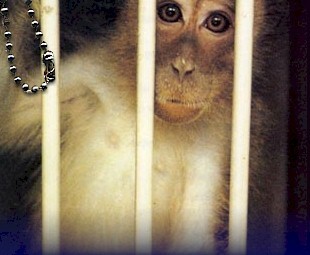 Prior to the brain surgeries, the monkeys had been trained to reach over a visual barrier and feel an object. If it was the correct object, and they tugged on it thee times, they received a food reward (a raisin). The monkeys learned which objects when tugged on resulted in a food reward. After their brains were damaged, they were again tested. All testing was conducted in the Wisconsin General Testing Apparatus (WGTA; Harlow and Bromer 1938). In this apparatus, the experimenter and monkey face opposite sides of a testing tray that has three food wells. A sliding opaque door separates the monkey from the testing tray, and a sliding door with a one-way mirror separates the experimenter from the tray. The one-way mirror allows the experimenter to observe the monkey but prevents the monkey from seeing the experimenter. During a trial, the experimenter lowers the one-way mirror and raises the opaque door, allowing the monkey to respond to the objects on the testing tray. Each operated group was allowed 6-8 weeks of recovery prior to the start of behavioral testing. During four to six daily sessions of pretraining, operated monkeys and control monkeys learned to obtain food by displacing objects that covered any of three food wells located on a stimulus tray in front of the testing chamber. In summary, the present findings demonstrate the distinct functions of the perirhinal cortex and area TE. The deficits following lesions of area TE are consistent with an impairment of visual perception. Lesions of area TE produced a unimodal visual impairment in visual recognition memory (experiment 1), an impairment in visual recognition even at very short delays (experiment 2), and an impairment in relatively complex visual discrimination learning together with sparing of simple visual object discrimination learning (experiment 3). In contrast, the impairment following perirhinal lesions is best described as a memory impairment. Lesions of perirhinal cortex produced a multimodal impairment in recognition memory (experiment 1), spared short-term memory and impaired long-term memory (experiments 1 and 2), and impaired simple object discrimination learning while sparing more complex visual discrimination learning (experiment 3). One way to judge the value of a researchers work is to look at the number of times it has been referred to in subsequent research by other scientists. If a scientist publishes a paper and no one pays attention, it can mean that others deem the work unimportant. In animal-based studies, it is the norm for researchers to claim that the work they are engaged in will have value for human health at some later date. The paper excerpted above was published at the end of 1999, or a year and a half ago at the time of this writing. To date, according to the journals publishers, the paper has been cited in ten subsequent papers.14 Two of those papers are Zola-Morgan citing his own work. Two of the papers have to do with experiments on rats, and five of the papers are by other monkey users. Only one is from a human study, and this is a German clinical study on brain plasticity related to language after cochlear implants. But perhaps a year and a half is simply too short a time for clinical researchers to have taken note of Zola-Morgans work. Another paper15 published over ten years ago has been cited much more frequently. The publisher reports that the paper has been cited forty-one times. Of these: three are Zola-Morgan citing his own work; one is a Guinea pig-based study; two are experiments using cats; ten are rat-based studies; fifteen are by other researchers destroying monkeys brains; one is based on an unnamed species; one is a general article rather than a research report; and seven are human related. Of these seven human related studies, one16 is coauthored by one of Zola-Morgans own regular co-authors, David Amaral, himself a monkey brain experimenter at the California RPRC in Davis. The rest cite Zola-Morgan when noting that the parahippocampus may be involved in memory. But none of the clinical papers seem to actually build on Zola-Morgans work. It would be unreasonable to claim that Zola-Morgans work has in any way been trail blazing or otherwise exemplary. The second reason that Zola-Morgan is likely to have been selected to head Yerkes is his strong and outspoken opposition to the critics of vivisection. On Thursday, May 14, 1998, Zola-Morgan testified before the U.S. House of Representatives Committee on Sciences National Science Policy Hearing. His talk was titled: Communicating Science and Engineering in a Sound-Bite World. His speech was couched in reasonable terms and he assured the Committee members that his research was helping find answers to Alzheimer's Disease (AD), encephalitis, head trauma, chronic stress and the memory problems associated with aging. The claims about animal research and about the process of science in general that were being made by the animal activists seemed not unreasonable on the surface. And because they were not being effectively disputed by the scientific community, the distortions and untruths about science and the scientific process were often accepted without question by the general public Moreover, claims of abuse of animals were often being accepted at face value by the general public and by legislators, who were beginning to generate legislation that would further regulate research using animals. As a result, in the mid 1980s I became interested in the issue of communicating science to the general public and to legislators, as well. I was, at that time, Chair of the Animal Subjects Committee at UCSD and I knew that we ranked very high in our science (UCSD is consistently in the top 10 or 12 institutions in the country in terms of grant funding received) and in our humane treatment of animals. UCSD ranked sixteenth in terms of grant funding in Fiscal 200018. Johns Hopkins was number one with NIH grants totaling over four hundred million dollars. UCSD received one hundred ninety million dollars. In terms of the humane treatment of animals facilities are not ranked. This claim was simple posturing before the Congressional Committee. In addition, Zola-Morgans position as chair of the Animal Subjects Committee gave him great power to deflect any internal criticism of his own work, and when the committee chair is involved in such blatantly pointless and cruel experiments, it tends to open the door for others who might otherwise be under greater constraints. A small group of individuals at UCSD began to develop counter arguments to the claims of the activists, and to speak out at animal rights gatherings in San Diego. However, it soon became clear that in terms of educating people about science, it was not the animal rights activists whom we should target. Their views were unlikely to be changed by us. Instead, we determined that we should focus on the general public, and on legislators. And this is likely at the core of Emory Universitys and the NIHs decision to see Zola-Morgan assume the leadership there. Local anti-cruelty activists have been recently successful in having legislators ask pointed questions of the facility. The need to deflect the likely outcome of acknowledging that you have been wasting millions of dollars and thousands of lives has motivated them to seek out someone with a good track record of pubic relations. And clearly, if Zola-Morgan can spin his own experiments in ways that will mollify lawmakers, Yerkes might assume that he might be able to shield them as well. animal control services, the clause was inserted to protect strays from research. Zola Morgan and colleague, Dr. Patrick Cleveland from the Veterans Administration Hospital, showed up at these meetings as well, to argue their case that all medical advances on the planet were dependent on the use of pound animals. They specifically insisted that pound animals were preferable to purpose-bred animals because of the desirability of the unknown genetic backgrounds! During this time frame San Diego Animal Advocates held a big demonstration on what was then known as World Day for Laboratory Animals, in April. We presented a mock "vivisector of the year" award each year to someone from UCSD known for a grisly experiment. Both Zola-Morgan and his buddy Cleveland called our animal rights information line and left messages on the recorder. Each one claimed that he should win the award instead of the other, because he used more animals or did more experiments, or had been doing them longer, etc. They found this very amusing until we took the tapes to the city council meetings and played them. The first time we brought out the tape recorder, Zola-Morgan was on his feet protesting that it was inappropriate, but it was allowed nevertheless. The callous attitude toward the animals was very apparent and he was very embarrassed and angered. That city was Solana Beach and they passed our proposal that evening. The effects of Zola-Morgans appointment remain to be seen. What does seem clear is that the vivisecting community has escalated their defense of experimenting on animals. The battle is joined, and now we must all decide whether we stand on the side of kindness and compassion, or with the Zola-Morgans who claim the unfettered right to appease any and every curiosity. Note: A few years ago Zola-Morgan dropped the -Morgan from his name. He now goes by Stuart M. Zola. 2 Zola-Morgan S, Squire LR, Ramus SJ. 1994. Severity of memory impairment in monkeys as a function of locus and extent of damage within the medial temporal lobe memory system. Hippocampus. Aug;4(4):483-95. Comment in: Hippocampus. 1995;5(3):232-9. 3 Wallis J, Anderson K, Miller E. 2001. Single Neurons in prefrontal cortex encode abstract rules. Nature: 953-956. 4 Barbas H. 2000.Connections underlying the synthesis of cognition, memory, and emotion in primate prefrontal cortices. Brain Res Bull. Jul 15;52(5):319-30. 6 Bachevalier J, Alvarado MC, Malkova L. 1999. Memory and socioemotional behavior in monkeys after hippocampal damage incurred in infancy or in adulthood. Biol Psychiatry. Aug 1;46(3):329-39. 7 Moss M, Mahut H, Zola-Morgan S. 1981. Concurrent discrimination learning of monkeys after hippocampal, entorhinal, or fornix lesions. J Neurosci: Mar;1(3):227-40. 8 Alvarez-Royo P, Clower RP, Zola-Morgan S, Squire LR. 1991. Stereotaxic lesions of the hippocampus in monkeys: determination of surgical coordinates and analysis of lesions using magnetic resonance imaging. J Neurosci Methods: Jul; 38(2-3):223-32. 9 From the Yerkes homepage: [http://www.emory.edu/WHSC/YERKES/about_mission.html]. 12 Buffalo EA, Ramus SJ, Clark RE, Teng E, Squire LR, Zola MS. 1999. Dissociation Between the Effects of Damage to Perirhinal Cortex and Area TE. Learning and Memory: Vol. 6, No. 6, pp. 572-599, November/December. 13 Harlow H, and Bromer. 1938. A test-apparatus for monkeys. Psychol. Rev: 19: 434-438. 14 Learning and Memory: 6:572-599. 15 Zola-Morgan S, Squire LR, Amaral DG and Suzuki WA. 1989. Lesions of perirhinal and parahippocampal cortex that spare the amygdala and hippocampal formation produce severe memory impairment Journal of Neuroscience: Vol 9, 4355-4370. 16 Corkin S, Amaral DG, González RG., Johnson KA, Hyman BT. 1997. H. M.'s Medial Temporal Lobe Lesion: Findings from Magnetic Resonance Imaging. J. Neurosci: 17: 3964-3979. 17 NIH Grant Number: 5R01MH58933-15; Neurology of Memory. Project Start: 01-Mar-83; Project End: 31-Jan-03. National Institutes of Mental Health (NIMH). 18 National institutes of Health Office of Extramural Research Award Data [http://grants.nih.gov/grants/award/award.htm]. 19 Cartmil, J. San Diego Animal Advocates. Private correspondence with the author. August, 2001.